Light to see to unlock your door- One of the main purposes of porch lighting is provide adequate lighting so that you can easily unlock your door when you are returning home after dark. Porch lighting that shines the light down on your lock making it easier for you to actually see the lock without the light shining directly into your eyes. A Welcome to visitors- Porch lights also provide a welcome to anyone visiting your home after dark and makes it easier for them to find their way to your front door. Keeping an outdoor light on for visitors makes them feel more comfortable and welcome when they come to visit you after darkness falls. Adds to your home’s security- having outside porch lights adds to your home’s security since lighting the area near or around your home can warn off would be burglars or vandals, because lighted area increases the chances of these criminals being caught. A well lighted porch prevents burglars and vandals from approaching your door, and often can prevent them from approaching your property at all. Enjoyment of your outdoor area- Outside porch lights allow you to spend time enjoy time on your porch, patio or deck after dark. During the summer months many people enjoy spending evenings outside. Having porch lighting makes sitting outside after dark much more enjoyable. 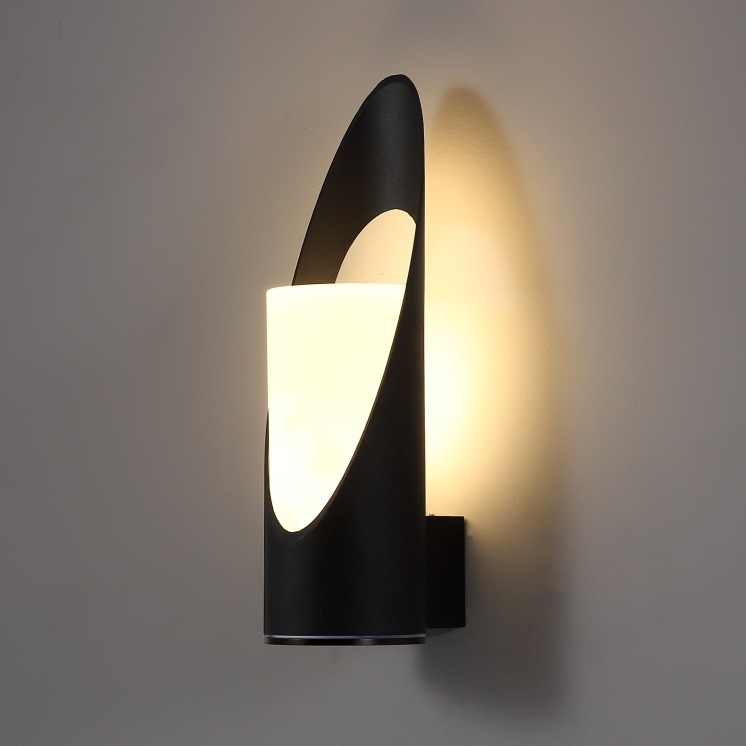 Garden wall lights come in a variety of different styles and may provide light shining upwards, downwards, or in all directions. Outside porch lights are used for a variety of purposes including highlighting features on the outside of your home, safety, and providing light for entertainment after dusk. More Energy Efficient- LED lighting is much more energy efficient than other types of lighting. In addition, since LED lighting is brighter than other types of lighting, you actually need fewer lights to adequately light the same area saving you even more money on those energy bills. Less Maintenance- LED outside porch lights require less maintenance than traditional lighting since there are no light bulbs to change and you get 20,000 hours of light with LED lighting. LED lighting is better for environment since this type of lighting releases less CO2 and they are 100% recyclable. No part of an LED lights should ever end up in a landfill. In addition, LED lighting does not contain any toxic substances. Here at Ultra Beam Lighting LTD we have a nice range of LED outside porch lights for you to choose from perfect to meet every type of décor and every need. When installed by a qualified technician our ultra modern LTD lights are durable providing you with several years of lighting under normal use. If you are looking for an outside porch light please feel free to contact our online representative or give us a call at 0800-678-5156.